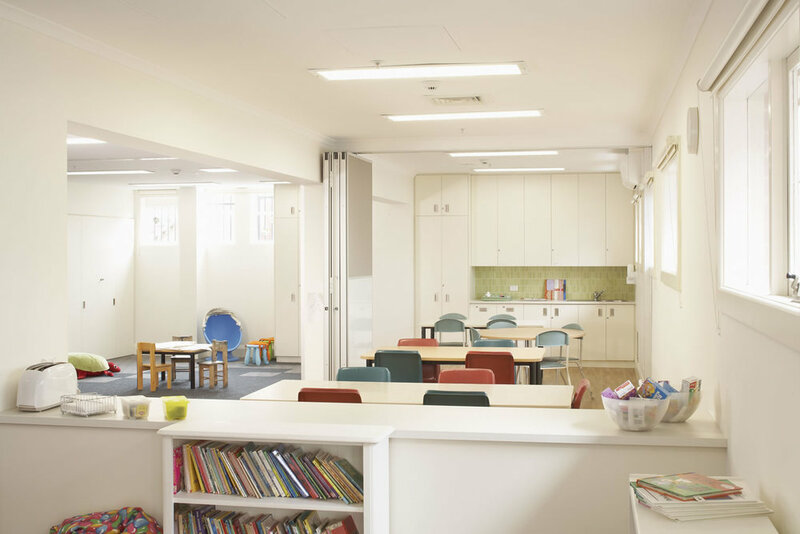 This project required the renovation and refurbishment of the existing Child Mental Health Unit at the Marion Drummond Centre in Heidelberg, to provide additional overnight accommodation for both clients and their families. The project, which was completed in 2009, called for extensive replanning of the existing building footprint to provide new consulting rooms, social rooms with kitchenette, self-sufficient family units and staff office space. ESD initiatives include low VOC paints and adhesives to allow for continued operation of the building during construction, water saving fixtures and fittings, energy efficient lighting with maximised use of daylight, reuse of existing mechanical system, refurbishment of existing building envelope and spaces, and carpet with 80% recycled content.